If you’re due for a new pair of running or work shoes, consider changing things up a bit. Instead of getting a pair of bulky and heavy women's shoes, consider replacing them with a pair that's built to be lightweight, comfortable, and easy to wear. You'll find a ... (see full details) (see specifications) #RB350. If you’re due for a new pair of running or work shoes, consider changing things up a bit. Instead of getting a pair of bulky and heavy women's shoes, consider replacing them with a pair that's built to be lightweight, comfortable, and easy to wear. You'll find a better fit you didn't realize your feet were missing when you choose these Reebok Women's Guide Performance Cross Trainer Black RB350 Non-Metallic Athletic EH Shoes. These athletic cross trainer shoes are built with the superior durability, comfort, and protection. Reebok added slip-resistant outsoles to the design for better traction, and this Guide style is non-metallic and offers electrical hazard protection (meeting ASTM F2892 standards) around some open circuits, too. These women's performance shoes are ready to overcome obstacles and help you get through your tough work day with ease. The construction of these Reebok shoes is what makes them so incredibly unique. These women's cross trainers are made to give you the same strength and protection as your heavy-duty work boots, but they offer lighter comfort and a better fit. They're designed with leather uppers that are lightweight, durable, and offer softer comfort. This leather provides resistant against oil, metal chips, heat, and chemicals as well for increased durability. The soft toe design creates a lighter fit for your feet and offers more room for your toes to move. These EH shoes are metal-free for your convenience, and they won't set off any metal detectors. The slip-resistant rubber outsole with R52 rebounding EVA midsole offers a build that grips firmly on a variety of surfaces and can even help to reduce foot fatigue over time. The outsole supports biomechanics of 12.9-degree flex at the 70% point from heel to toe, which means these black shoes are ideal for work and athletic wear. This pair increases performance and ensurs you have quicker, steadier movements. The R52 rebound foam midsole offers comfort and puts energy back into your steps to make sure you can go that extra mile. For additional comfort and support, this Reebok performance footwear features a low-cut design that allows for freedom of movement at the ankle and quicker heel-to-toe transitions. The MemoryTech footbed forms to the contours of your foot and creates superior comfort that's meant to last all day long. This footbed is very soft and provides cushioned comfort through every wear. The wrap-around external TPE heel counter offers a better fit and feel as you move, too, and the moisture-wicking nylon mesh wicks away sweat keeps your feet dry for increased comfort. You never know when danger is coming your way. The only thing you can do is be prepared. These Reebok women’s cross trainer shoes are made with electrical hazard protection for when your safety is on the line. This women's footwear is rated and meets ASTM F2892 standards for electrical hazard protection. Hit the job site or running trail in these Reebok Women's Guide Performance Cross Trainer Black RB350 Non-Metallic Athletic EH Shoes from Working Person's Store, and you'll experience long-lasting comfort, support, and lightweight durability. Order your pair today! 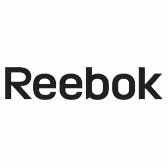 Reebok Shoes: Women's RB350 EH Guide Performance Black Slip-Resistant Cross Trainers is being added to your cart.